Noticeable or dark hair on the face, arms, or other parts of the body can make it impossible for a woman to feel confident. Jolen Creme Bleach, the #1 selling bleach brand in the World, is celebrating 50 years in the beauty aisle! This product lightens noticeable hair easily and gently, making it virtually invisible. This is a product-provided, sponsored conversation that contains affiliate links. 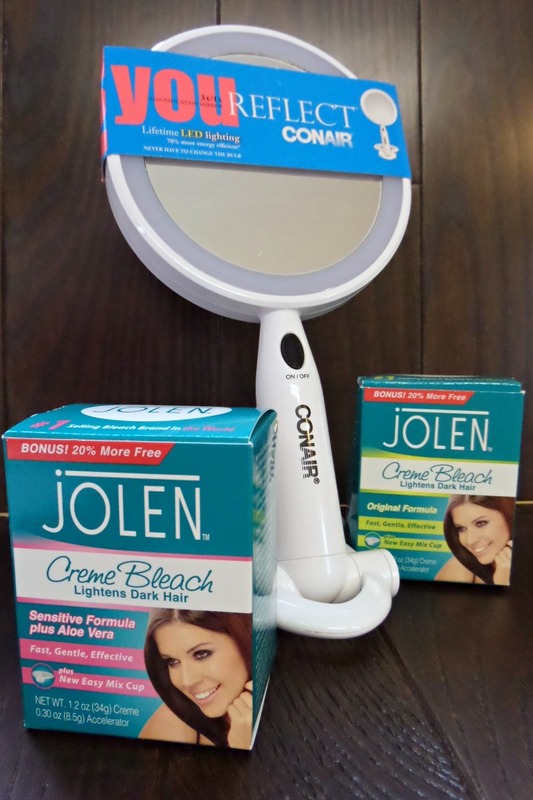 I received both Jolen Creme Bleach formulas and a Conair 3x/1x Illuminated LED Mirror for my own personal use. All opinions, text, and experiences are my own. Since I don’t have noticeable hair, I enlisted the help of a friend to try it on my behalf. I recently learned that a girlfriend was feeling terrible about the dark and noticeable hair on her arms. 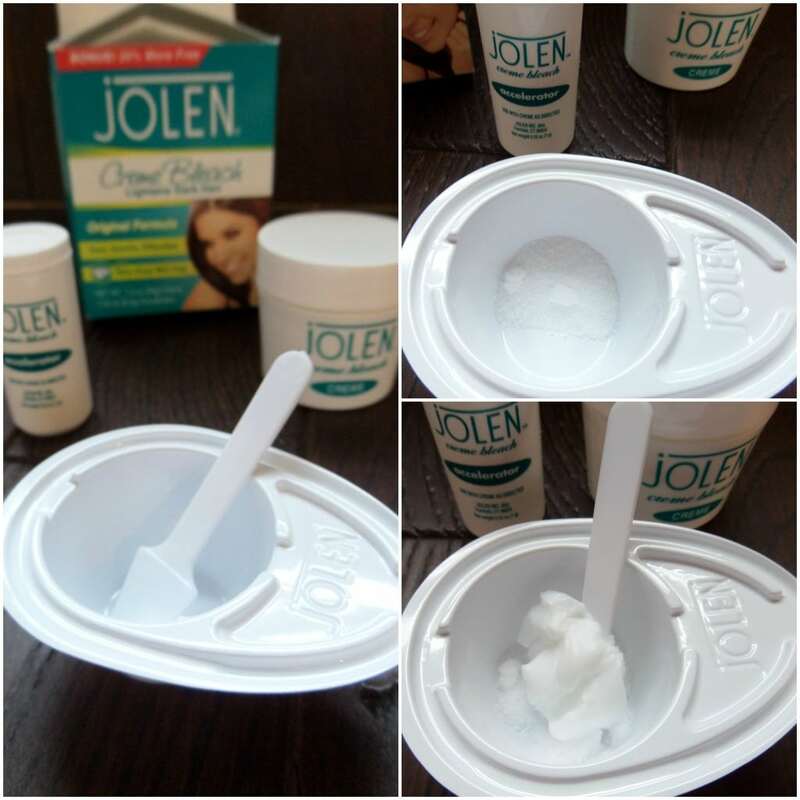 Used as a facial bleach for the lip, cheeks and chin area, Jolen is also recommended for lightening hair on arms, thighs, stomach and other body hair. My girlfriend was excited test the product and share her thoughts. The product was easy to use and quick, taking less than 20 minutes from opening the box to lighter hair! 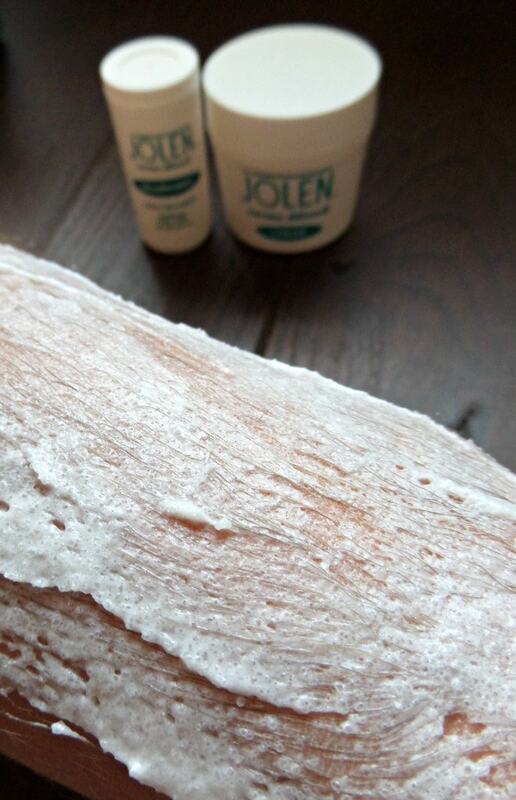 Unlike waxing that can leave skin irritated, the Jolen Cream Bleach is gentle even on sensitive skin. 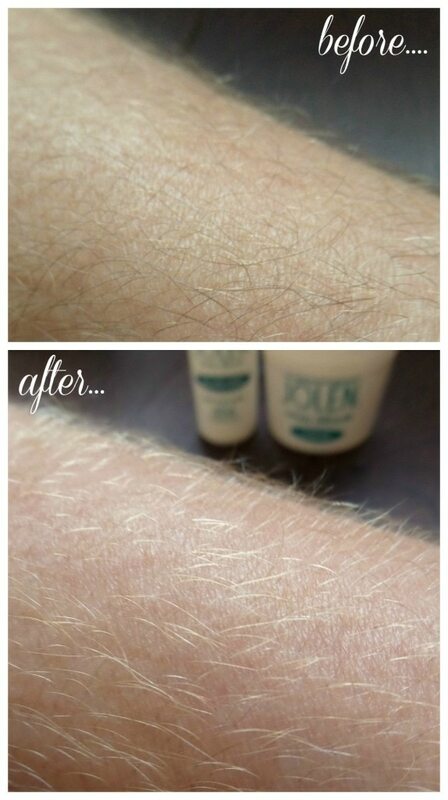 You can see in the before and after image above that the hair lighted considerably after using the Jolen product. Following the box instructions, we mixed the powder accelerator and the cream together using the supplies provided. It took only a few seconds and the cream was ready to apply to my friend’s arms. Using the small spatula from the box, I carefully applied the cream to her arm and we waited the 10 minutes recommended. While we waited I shared with her that the product is available at CVS, Harmon, Rite Aid, ULTA, Walgreens, and Walmart as well as other stores nationwide. We also talked about tips and tricks that important women in our lives had passed on to us. Her and her mother are very close and began sharing beauty secrets very early on. Enter the 50th anniversary giveaway here– for your chance to win lots of great prizes!